John Hartland was the Labour Party candidate in Rhoose in the The Vale of Glamorgan local election. Our volunteers have been adding information on John Hartland - here's everything we know so far! Rhoose born John Hartland is standing as the Labour candidate in the Rhoose by election caused by the resignation of Tory Councillor Matthew Lloyd over his own party’s proposal to close Llancarfan School and to relocate the pupils to a school in Rhoose. John is the fourth generation of his family to be brought up in Rhoose with family connections to the village going back to before the First World War when his grandfather farmed in the area. Having attended Rhoose Primary School he went on to Secondary education in Barry, to University in Cardiff and on to become a Chartered Architect. 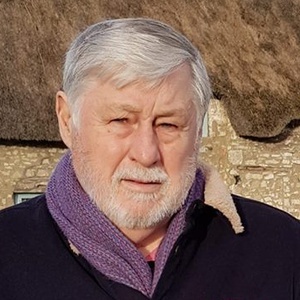 His local connections ensure that John is firmly rooted in Rhoose and well placed to represent the community on the Vale Council. John has many skills which will equip him to be a councillor He has spent over 40 years in the construction industry as a project manager and designer. John is not a career politician but is committed to Rhoose, intending to focus on the sole role of being a Councillor, working with other councillors and the elected Labour Vale Assembly Member to get results for Rhoose and the surrounding villages. Over recent years Rhoose has mushroomed, no longer a small village its growth has not been matched by a commensurate growth in facilities. The Ward needs a strong voice to stand up for it. An independent Councillor can be a lone voice but working as part of a team John will be a forceful voice for the village. John will work with others to support the community of Llancarfan’s campaign to stop the Conservative Vale Council from closing its School, ripping the heart out of the village. He will work with and support other groups who are working to develop their community such as the proposed Community Hub at St Peter’s Church for all the village. John believes that saving Llancarfan School should not impact on the provision of a new school for Rhoose. Our growing community needs additional school places. Transport links for the village need to be improved, both rail and bus. John welcomes the Labour Welsh Government’s announcement that train services will be increased but there are areas of Rhoose unserved by any bus service. John will fight for a proper bus service to serve the whole of Rhoose. This statement was added by John Hartland, their team, or by a Democracy Club volunteer, based on information published by the candidate elsewhere. If you can add information that should be on this page - such as John Hartland's CV, homepage, twitter account please use our crowdsourcing website to add it.